A glorious European flower market street scene is gorgeously depicted by Linda Gillum. This design is the rendition originally designed by Linda and the first time it has been released in this version. 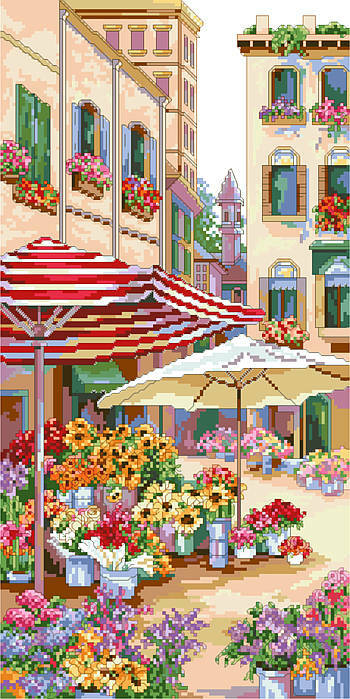 The sunflowers and lavender pop of this piece as you turn the corner to find this abundant market. Contents: Stitch Count 112w X 224h, finished size on 14-ct 8" X 16"